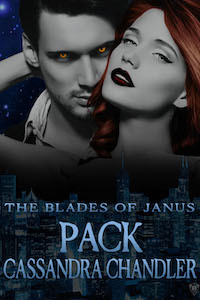 Presenting… The Blades of Janus, Book One — Pack. I might be addicted to making my own covers. 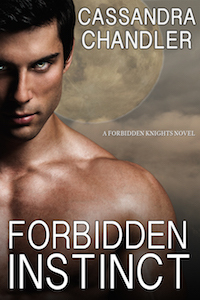 This book is much darker than anything I’ve put out yet. It’s a scifi romance at its core, but has the feel of an Urban Fantasy and is heavy with paranormal and even horror elements. Each book in the series is set up as a romance, though, with the developing love staying at the center of the storylines. The monsters of legend are not what we think—their origins much more distant. Dwellers are among us. A flitting shadow seen from the corner of your eye. An animal that’s not quite natural. Even a normal-seeming human you pass on the street. But for these alien organisms to make Earth their home, they need a host. The greatest danger lurks beneath their skin. Marcus has dedicated his life to the Blades of Janus, hoping to build peace between humans and dwellers and find a place for himself in the process. 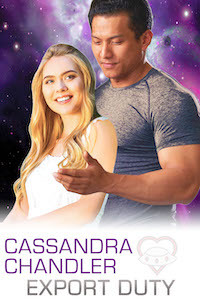 He’s used the strength, speed, and heightened senses of his own dweller nature with that single-minded focus—but when Tessa Rhodes storms into his life, all he can focus on is her. Tessa’s arrival upsets the balance among all the Blades in Providence, awakening an urge Marcus has fought since he was turned—the longing for a pack. If he can convince her not to kill him, to let him fight at her side, they stand a chance against the dweller who infected her—and maybe a chance at something more. Welcome to the town of Providence. There’s much more to come!